From packing to the drive, some aspects of your mountain vacation can be quite stressful. Why not eliminate some of that stress with Smoky Mountain Grocery Wear Valley's services? Standing apart from other Pigeon Forge grocery stores, Smoky Mountain Grocery is the only store to offer pre-arrival delivery services in the Smoky Mountain area. Why spend your time in lines at a grocery store in Gatlinburg,TN? Let your own personal shopper take away the stress of shopping for groceries by stocking your pantries and refrigerators before you arrive! Smoky Mountain Grocery aims to make guests' vacations less stressful and more enjoyable by providing a unique service to the area - pre-arrival grocery delivery. After filing your order either by fax or phone call, your personal shopper will ensure that your order is correct by reading your order back to you, making sure every item and quantity is correct and that the order makes it to your cabin before your estimated arrival time. Additionally, changes can be made to your order up until 24 hours before your arrival time. Smoky Mountain Grocery shops for your favorite brands at your favorite grocery stores, marking one item off your to do list without you even having to lift a finger! With such exceptional service, it is no wonder why Smoky Mountain Grocery Wears Valley has been awarded a Perfect Service Rating by TripAdvisor. Party Trays- Whether you want deviled eggs or chocolate dipped strawberries, pastries or prosciutto, Smoky Mountain Grocery has a party tray for your wedding, birthday party, family reunion, or other special occasion. Cupcakes- Smoky Mountain Grocery is proud to partner with Gigi's Cupcakes to provide you and your guests with a scrumptious indulgence on your cabin vacation. Gift Baskets-Would you like a special gift for your sweetheart? A basket full of games for the kids? Smoky Mountain Grocery Wears Valley is happy to tailor a customized gift basket for your vacation getaway. BBQ Catering- Delivering mouth-watering pulled pork and delicious baked beans right to your doorstep, Smoky Mountain Grocery now offers BBQ catering to its customers. Discounted Attractions and Show Tickets- Don't want to waste time in line at the ticket office? No problem! Smoky Mountain Grocery can also deliver tickets with your groceries. If you're staying in one of our Wears Valley cabins and need a quick snack on your way to an attraction, swing by the Smoky Mountain Grocery Wears Valley location. Step back in time to an era of mom and pop grocery stores. With your favorite brands as well as some special jam, jellies, and preserves, Smoky Mountain Grocery Wears Valley stocks everything you'd need for a picnic in scenic Wears Valley. Why deal with the stress shopping at the 3rd busiest Kroger or the 6th busiest Wal-Mart in the country? 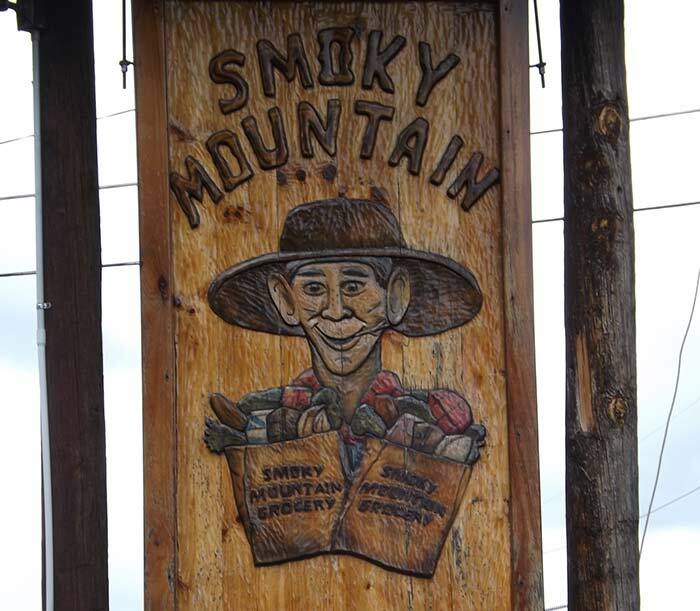 Let Smoky Mountain Grocery Wears Valley deliver your groceries to your cabin before you even arrive so you can start enjoying the relaxation your cabin provides sooner. Smoky Mountain Grocery delivers to Cabin USA's Pigeon Forge, Gatlinburg, and Wears Valley cabins, allowing you to spend less time stressing and more time enjoying what vacation should be about: friends, family, fun times, and, of course, food!